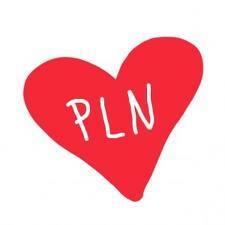 Thank you PLN for changing teacher preparation! What a semester! Full of Twitter, wiffiti, Skype, Schoology, Posterous, KidBlog, Edmodo, YouTube, iMovie, MovieMaker, StoryJumper, Prezi, #digcit, #fys11, #icitizen…. The best part? You – my PLN! I asked for virtual mentors in a post in July: Looking for virtual elementary teachers to be science and social studies mentors. I was looking for elementary teachers to be virtual mentors, as well as guest experts via Skype for my graduate course and you responded above and beyond my expectations! Having a virtual mentor has been awesome! As with Skype, my virtual mentor has provided me with knowledge and ideas all the way from Hawaii! I believe Skyping with virtual mentors in class was essential to the success of EDUC 555. The conversations that were sparked during and after our Skype sessions were one of the aspects that made this class as successful as it was. I loved hearing from all of the different people who have Skyped into our classroom. I would LOVE to be in the class where the students are creating an app about the butterflies. I also love the welcoming “letter” that our new friend from Canada sent to her kids. I would have loved to see the classroom before the first day of school and gotten an introduction to the things we were going to do in that coming school year. Also, our latest Skyper , WOW; I still cannot get over how much time he set aside in his life for us! I have told some of my teacher friends about him and how amazing his presentation was for us (even connecting the CT standards into the presentation) and how he spent an hour with our class and was so excited and happy to share with us and get us just as excited as he was about incorporating science into our own classrooms. Truly amazing experience! Watching my classmates try new things, writing lessons in groups, and learning from the virtual mentors via Skype and Twitter have been incredible experiences. The virtual mentors, especially, have made this class something incredible to remember. Their warmth, reflection, wealth of knowledge, interest in helping other educators, and all around advice was like nothing I’ve ever experienced. Also, this class taught me that one could absolutely use Skype effectively in the classroom. The group of youngsters from Tennessee teaching our group how to be good teachers is a fond memory that I hope I can reproduce from the other side with my class. Perhaps I can Skype in with my class when I’m student teaching! EDUC555 has not been the typical teacher preparation course. Incorporating both science and social studies into a sixteen week course is a challenge. I feel that both contents are being addressed in depth due to the integration of Skype and virtual mentors into the classroom. Skyping in with science and social studies teachers from all over has opened up doors that would have otherwise remained closed. The teachers that have reached out through Skype have been truly passionate about education and willing to help any way they could. This class truly helped to show me that there really is a community of teachers, who are also learners, who care and want to share. I smile to think that these teachers are out there, ready to share their knowledge and experience and advice. It is not just about teaching but about humanity, and I am thankful for the kindness of these teachers we met on Skype. Our classroom Skye sessions were very beneficial for me, without them I would not have been aware of the vast world of resources that exist online and through others. An extra special thank you to Tom Riddle from South Carolina, Glenn Gibson and Amy Murray from Calgary, Aviva Dunsiger from Ancaster, Paula Naugle from New Orlean, Sean Musselman, Nancy Carroll, Tracy Sockalosky and Shawn Avery from Massachusetts, Evelyn Heckman from Hawaii, Leah LaCrosse from Ohio, Autumn Laidler from Chicago, Ben Curran from Michigan, and Tamra Lanning and her 5th grade students from Tennessee for sharing your time, passion and expertise with my students. This experience has changed me as a learner and as a teacher educator. You provided such a rich learning opportunity and you have changed teacher preparation! Thank you for the bottom of my heart! LOVED being a virtual mentor. Hope I helped in some small way. My mentee was FABULOUS! I think it’s a brilliant idea that needs to catch on in colleges of ed nationwide. What a great post! Thanks for mentioning me as a part of it. Sounds like it’s been an incredible learning experience for everyone! The original idea was just virtual mentors, but it grew into guest Skype sessions. The best part of the Skype sessions was the fact that I had never made eye contact or heard the guest Skyper’s voice prior to the session (except Tom Riddle, Tracy Sockalosky and Tamra Lanning) and most had no idea how to pronounce my name – the “i” instead of the “y” really throws people off! 🙂 Not knowing the guest Skyper made the power of the PLN even more significant – educators helping other educators not as a personal favor to me, but to help transform the learning experience for preservice teachers! Powerful stuff! I’m teaching an UG science methods course and a UG 21st century skills and learning course next semester and I’d love to reconnect with both of you in 2012! Ben, you’re on for my 1st guest Skyper in January! Book it! Happy Holidays, Dr. Curran! This was a wonderful experience for me as well. It was my first time being a virtual mentor (hopefully, not my last!!) and it made me extra aware of the power of collaboration and the importance of helping our new teachers! I am thinking that this is a ‘must’ repeat. Marialice – YOU ROCK!